Video footage showed people leaving the building with their hands up and being checked by police in San Bruno, California. 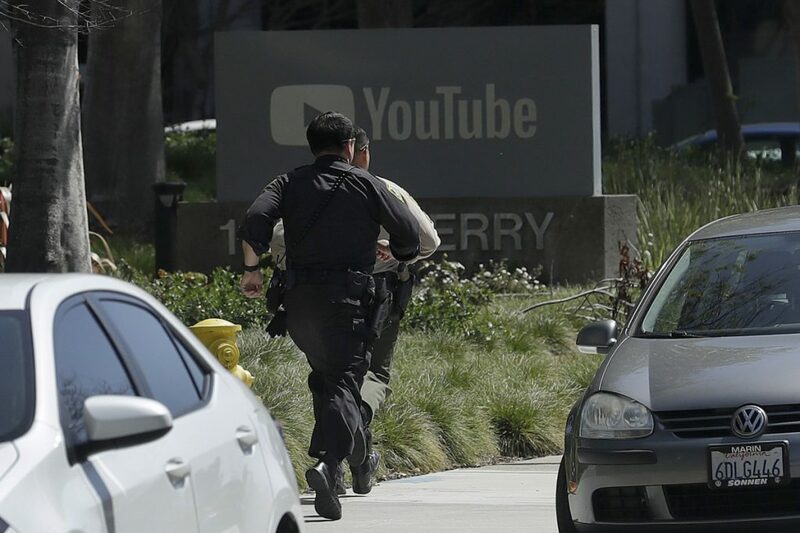 SAN BRUNO, Calif. – A shooting at YouTube headquarters Tuesday that wounded three people is being investigated as a domestic dispute, two law enforcement officials said. The shooter killed herself after opening fire with a handgun in a courtyard, police said. After receiving multiple 911 calls reporting gunfire, officers and federal agents swarmed the company’s suburban campus sandwiched between two interstates in the San Francisco Bay Area city of San Bruno, as terrified employees huddled inside. Inside, Google, which owns the world’s biggest online video website, famously outfitted the office several years ago with a three-lane red slide for workers to zoom from one story to another. Google said the company’s security team worked with authorities to evacuate buildings and was doing whatever it could support the victims and their families. The Bureau of Alcohol, Tobacco, Firearms and Explosives said it also responded. The White House said President Trump was briefed on the shooting and that officials were monitoring developments. CORRECTION: This story has been corrected to remove a reference that patients were taken to Stanford Hospital because the hospital now says it gave incorrect information about receiving patients from the shooting.